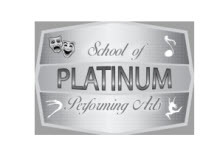 Welcome to Platinum School of Performing Arts Online Registration! Please provide your information below and click Submit when complete. All enrollments are considered pending until we have reviewed your registration and and posted any fees due. I understand that my student(s) may incur injury while participating in classes and performances with Platinum School of Performing Arts, LLC. I agree to hold harmless and not liable Platinum School of Performing Arts, LLC while my student(s) is/are participating in classes and performances. I understand that class prices are per month and are due monthly. I also understand that a $30.00 registration fee is charged per student and there is a discounted registration fee of $15 per student for each additional family member. The registration fee is per school year. I understand/agree that in the event of student withdrawal from class, one month written or emailed notice must be given to avoid forfeiting the subsequent month's tuition.